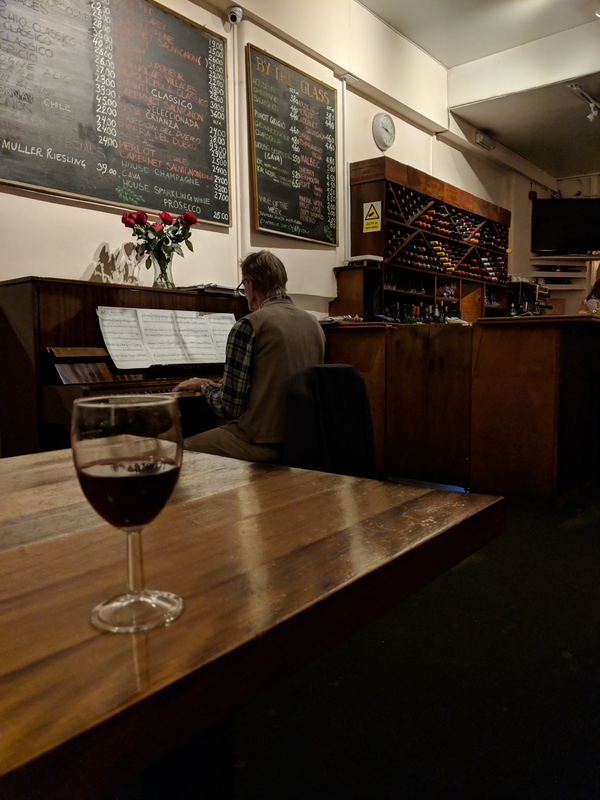 Found a good wine bar in Cambridge just by the river with all the punting activity…and 700 wines on offer! Well, you know what they say - don’t drink and punt! Turns out tonights activity is an Ealing wine bar crawl. Will report back. First up, Abbots. Sorry. @Alchemist, This was so far down the thread that I had forgotten you highlighted the Bridge Street Wine Bar much earlier. I was only in Cambridge for a short while, having experienced the guided busway!! Ah, the best and worst thing in Cambridge on the same day! Glad you enjoyed Bridge St. Many years ago I worked for a Charity which had its offices above, and the shop on the left side of the now Wine bar/shop. How times change! 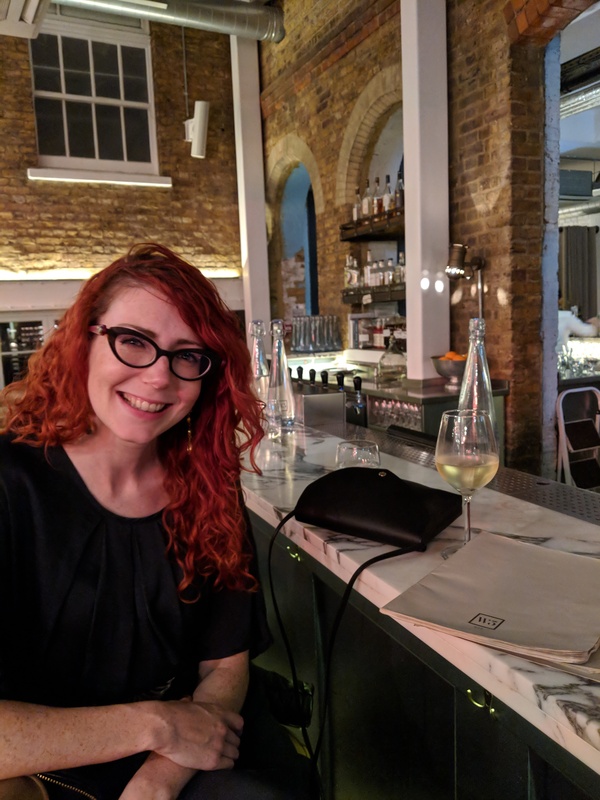 Last night we visited three wine bars, the furthest no more than a 10 minute walk from Ealing Broadway station. Neighbourhood place, just down St Mary’s Road. Decor very on trend, uncluttered eclectic let’s say, with soft lighting. They said normally there’s music playing but the system wasn’t working. Service was friendly and enthusiastic, nibbles were also available (we had some sourdough bread with tapanade). Really good wine list! Must’ve been at least two dozen bottles, maybe more, and everything was available by the glass (125ml standard), half bottle carafe, or bottle. Listed in ascending order of body, each selection with a few descriptive words to help with choice, and a arranged very stylishly on a clipboard over several pages. We eased in to the evening with a glass of Vermouth from Cornwall which was excellent, then GF had a Cornish white, and I went with their single orange wine from the Czech Republic. 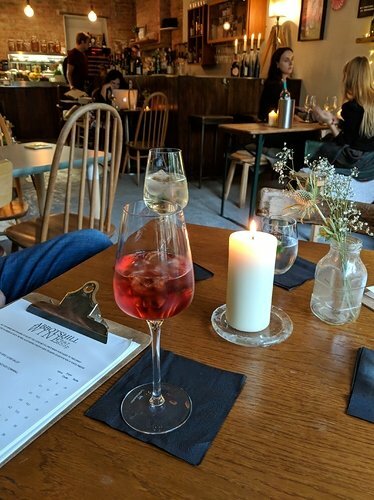 They have a definite leaning for organic and biodynamic wines, but I wouldnt call this a natural wine bar by eny stretch (no funk in even my orange wine). Next was Crispin’s, just down from the station past the roundabout at the top of St Mary’s Road. This is an old favourite of ours, an unreconstructed wine bar from the 1980s. There’s wines listed on a board, but I’m never sure if they’re in or not. I always just ask the lady owner for her recommendation, normally she’s got some sort of bin end open. Last night was a Loire red. We loved it, had two glasses each (again 125ml @ £5) as one of the other patrons takes a shying to us and started making conversation. Meanwhile this malnourished looking old man staggers in and starts banging out some decent Sinatra tunes on the Joanna in the corner. Classic Crispin’s. I will say that family and friends we’ve taken aren’t as quick to succumb to the peculiar charms of our little haunt. Last up was Charlotte’s W5, in the new Dickens Yard development down the Uxbridge Road. Unfortunately we just missed the kitchen closing time so didn’t get to try any of their small plates, normally quite good. This is also a full service restaurant and they’ve got an extensive wine list to go with it. They’ve built in an old stables, and I think they’ve absolutely nailed the decor. There was a good buzz to the place, a successful venture on a Saturday evening. I had a Beaujolais which I very much enjoyed, though the least interesting wine of the night. My lovely companion in the photo with her Kabinett. Our daughter was at St Johns. Literally opposite but I was driving most times we visited. Only went in once and then just a half glass. Mind you good for a take out bottle for the driver when we got home. Cambridge is well served wine wise. 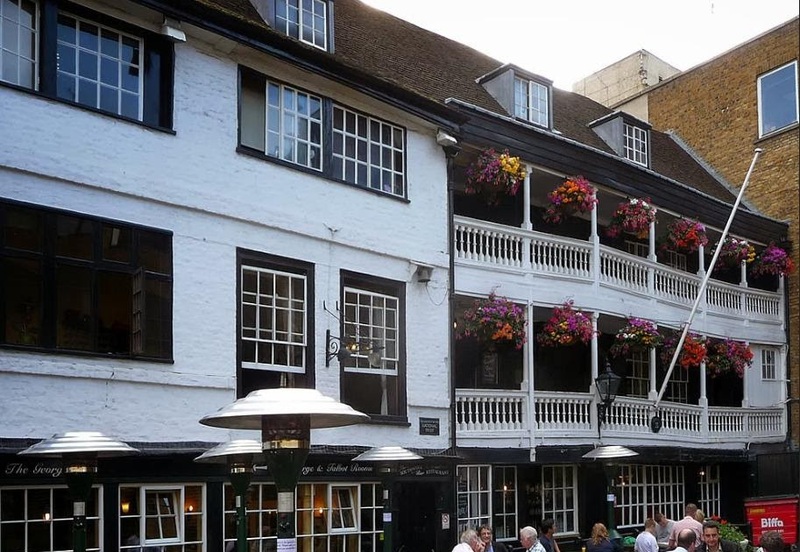 Before work force migrated us from The City to Canary Wharf, I used to enjoy popping in to Planet of the Grapes on Bow Lane, London. Don’t know if anyones interested, but I did a piece for the blog I contribute to a couple of years back onthe era of the sixties East End pubs that put on music and comedy and became the launching pad for such as Kathy Kirby, Lennie Peters ( Peters and Lee) and many others, I put another up about pubs on Saturday, see it is drink related, if you want to read here is the link. Pleased to report that my ‘local’ has been awarded IWSC Independent wine retailer of the year 2018. Great news for the small, but knowledgeable team. Lovely atmosphere and great wines!